The EcoBubble generator turns the washing powder into active foam. It works better than any detergent solution, because it quickly penetrates the structure of the tissue, destroys the spots from the inside and actually launches, rather than simply erases. In the heart of washing machines Samsung is an inverter motor. Its powerful magnets allow you to reduce friction during machine operation, which means that the noise level during washing is minimal. The function of Steam Wash allows you to get rid of bacteria and allergens by 99.9%. Steam affects everything in the drum and effectively removes stains and dirt. 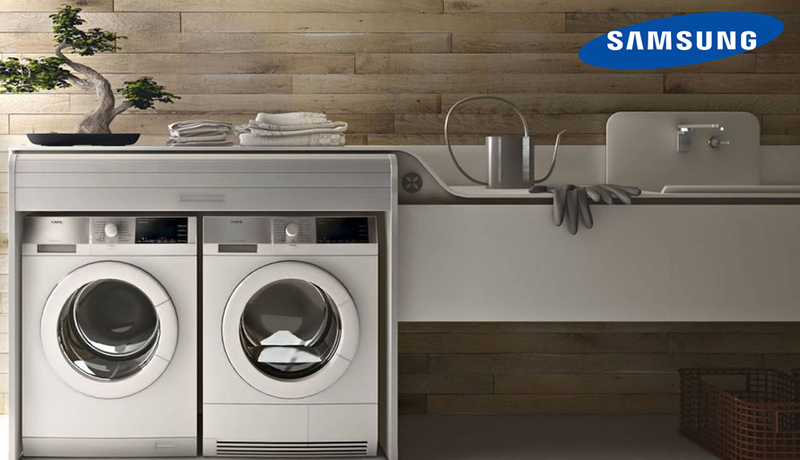 In the inverter motor of Samsung washing machine powerful magnets are installed instead of brushes. This solution helps to reduce the friction of moving parts, eliminating the premature wear of internal elements. This allows you to give a 10-year warranty on the inverter motor in Samsung washing machines.